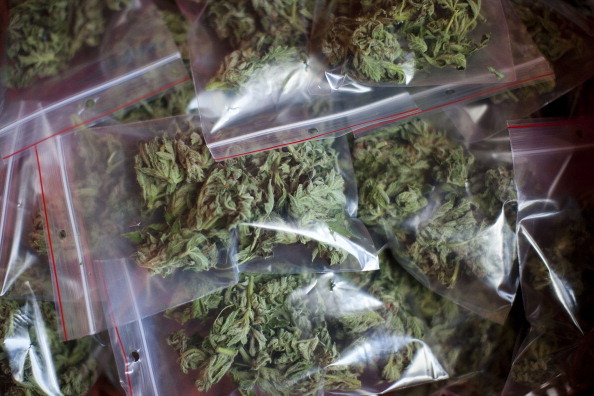 Decriminalization To Become Law. Now What? This week the state senate for a second time voted to decriminalize simple possession of marijuana. The bill included a few modifications, which the house inserted over the weekend in order to satisfy enough delegates. Among the modifications is a provision that escalates the fine from $100 to $250 and then to $500 for a second and third offense respectively. In addition anyone who is charged with a third or subsequent offense will be summoned to appear for court, and if convicted may be ordered to complete a drug evaluation and follow up treatment. Offenders under the age of 21 who are charged with civil pot possession will also be summoned to appear in court. Simple pot possession for anyone under 18 is still a criminal offense that would be handled in the juvenile system. There is also a new provision that states all the fines collected by the District Court for these citations will go directly to the state health department, and can only be used for drug education programs. Governor O’Malley has already said that he’ll sign the bill into law when it crosses his desk, so decriminalization is certain to be law in Maryland within the next few months. However it’s not so certain just how the law will be implemented, and how efficiently the court system will be able to handle these new civil marijuana citations. Eliminating the harsh collateral consequences of a criminal conviction for marijuana possession was one of the most pressing issues on the minds of lawmakers. This, combined with concerns over needless jailing of pot smokers is what ultimately prompted the weekend coup in the state house. So with criminal convictions and jail time off the table, what else can we expect from the new law? First of all, we posted a few months ago that one of the major shortfalls of decriminalization was that the public would still be able to search for open cases and cases that have not been expunged. This is likened to civil alcohol citations such as drinking in public, which appear online. Well apparently we slightly underestimated our lawmakers because there is a specific provision that prohibits these pot citations from appearing in the public case search. But that does not mean there will be no record of the cases. At this point it is reasonable to assume that a thorough background check, such as those conducted by a government agency, would turn up a record of a pot citation. This would definitely provide an additional incentive for someone to fight his or her case. Additionally marijuana possession in any amount is still illegal in most other states, and these states could still consider a conviction for a Maryland civil pot possession case like a criminal offense in such procedures as violations of probation and violations of employment contracts. Possession of less than 10 grams may no longer be criminal but there could still be collateral consequences for simply paying the fine and admitting guilt. Therefore, we may see the majority of offenders elect to have their cases set for trial. This means the district court will be faced with the task of establishing a trial docket for all civil pot cases. Officers must be subpoenaed and the marijuana must be tested in order for the state to prove its case. If the cops don’t show, or the pot isn’t tested the case will have to be dismissed. It will be interesting to see which government agencies decide to shell out resources to pay for lab tests in civil cases with $100 maximum fines. The cost of subpoenaing and paying the cops for court time plus testing the marijuana will certainly be more than $100. The decriminalization law might be hailed as a victory for some, but it is filled with shortcomings. Hopefully though its purpose will be served as a springboard to the real goal of legalization. The blog will continue to post on the evolution of the Maryland decriminalization law, and as always please feel free to contact the firm with any questions. 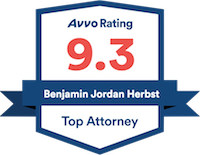 Benjamin Herbst is a Maryland criminal defense lawyer who handles cases in all jurisdictions within the state. Contact Benjamin anytime for a free consultation.